Now we're turning in our Bibles to Philippians chapter 1. You'll remember that last Sunday morning we began a study that we thought might take us just through Sunday morning, but it has taken us into the next Sunday morning: 'A Pastor's Joy in His People'. Really the introductory verses of the book of Philippians in chapter 1, where Paul is outlining his prayer and his desire, and specifically his joy in the people of God in the little town of Philippi. We'll begin reading at verse 1: "Paul and Timotheus, the servants of Jesus Christ, to all the saints in Christ Jesus which are at Philippi, with the bishops and deacons: Grace be unto you, and peace, from God our Father, and from the Lord Jesus Christ. I thank my God upon every remembrance of you, Always in every prayer of mine for you all making request with joy, For your fellowship in the gospel from the first day until now; Being confident of this very thing, that he which hath begun a good work in you will perform it until the day of Jesus Christ: Even as it is meet for me to think this of you all, because I have you in my heart; inasmuch as both in my bonds, and in the defence and confirmation of the gospel, ye all are partakers of my grace. For God is my record, how greatly I long after you all in the bowels", or the affections, "of Jesus Christ. And this I pray, that your love may abound yet more and more in knowledge and in all judgment; That ye may approve things that are excellent; that ye may be sincere and without offence till the day of Christ; Being filled with the fruits of righteousness, which are by Jesus Christ, unto the glory and praise of God". Now we saw both in our studies in Philippians and in the book of 1 Corinthians, how Paul often in his letters changes the conventional address and introduction of Greek and Roman letters into something that preaches and testifies the gospel, and we see that he does that again in the book of Philippians. Not only does he give us the gospel in his introduction, but he gives us a delineation of the themes that he wants to deal with in his book. He does that as he tells these Philippians in verse 4 that he prays for them in all of his prayers with great joy. Right throughout this introduction Paul gives these people an affirmation of the great joy that he has in fellowshipping with these people in Philippi. But he's not only doing that for us, he's outlining for us the great theme of how important it is for every believer in the Lord Jesus Christ to have joy within their lives. He tells us what that joy is and what that joy is not; that that joy is not the passing happiness that the world seeks after and longs for, that comes through circumstances and through 'hapness' that comes into our lives, where our happiness is regulated by our circumstances, by our pleasures, by our feelings and our emotions - but rather divine joy, the happiness and the joy that God talks about, is something that transcends earth's circumstances. It is not the result of being comfortable, but that deep transcendent joy can be known right in the middle of earth's most darkest and difficult scenes. In fact we know from looking in the background of the church at Philippi that their joy was born in the midst of suffering and sorrow. But in verses 3 through to 8 Paul gives us five specific elements of the Spirit-engendered joy that he knew because of the Philippians, and that they too could know if they focussed their mind on the things that Paul had his focus upon. Three of the things that we looked at last week, why this Pastor had great joy in his people, was first of all in verse 3: 'I thank my God upon every remembrance of you'. He brought joy to his own heart when he recollected the blessings that these believers brought to him. We asked the question of ourselves collectively and individually: when others think of us does it bring them great joy? Am I the kind of Christian that brings joy to my Pastor's mind when he thinks of me? But Paul could say: 'I have you in my mind'. We spent a little bit of time, we don't want to go into it all today, about how important in the book of Philippians, but indeed in our Christian walk and pilgrimage, our attitude is to the experience of joy that we will know within our heart. The common denominator, the difference if you like, between down-in-the-dump Christians and joyful Christians right in the middle of life's most difficult sorrows is the attitude which we come to life's difficulties with. The second reason why he had great joy was because of the intercession that he had on behalf of others, we find that in verse 4: 'Always in every prayer of mine for you all making request'. They prayed for Paul and Paul prayed for them always, a constant continual intercession. We saw that it wasn't just a general praying: 'Lord, bless the Philippians', but it was specific. He was asking for them by name that God would bless them, he was bringing before God the specific needs that they had. We took out of that a principle that self-centredness within believers, selfishness that is never ever a sign of joy, for joy is seen in selflessness when we live for other people and when we lay down our lives as intercession for other people - but self-centredness is primarily seen in prayerlessness. If you don't pray for other people it's because you don't care for other people, but Paul prayed for them and it brought him great joy to do that. Last week in verse 5 we read these words, he thanks God also for the joy that he had brought to his heart through the fellowship that he had with these people in the gospel from the first day until now. Participation in the service of the gospel brought Paul great joy. Broadly speaking as he shared the gospel, as he took the gospel to the Macedonian world with the Philippians and by himself in the beginning, bringing even them to Christ, it brought him great joy. We saw in chapter 4 specifically that this was a joy and a participation in the service of the gospel that was not just through preaching, but it was practical. He was helped by these Philippians believers sacrificially as they gave the few resources financially that they had over to the furtherance of the gospel and to the help of the apostle Paul. We saw Lydia in Acts 16, how she right at the moment of conversion opened up her home in hospitality for the gospel to be preached. We asked the question of ourselves last Sunday: what do we sacrifice? How do we join with Paul in this type of fellowship in the gospel? I hope we haven't lost all those things, but we want to carry on with two more aspects that brought this Pastor joy in his people. The fourth aspect is found in verse 6: 'Being confident of this very thing, that he which hath begun a good work in you will perform it until the day of Jesus Christ'. Anticipation of the believer's perfection brought Paul great joy. Anticipation of their perfection brought him great joy. How encouraging this is for us all when we find ourselves just launched into a very difficult circumstance, even with regard to things that we would have to call sins and iniquities, when life's uncertainties come along, when we find that we're doing well in our Christian life and all of a sudden we trip up and we're defeated, we're downcast, temptation enters into our life, and it seems that it's irresistible and every time it comes to us we fall down before it. Well Paul is coming to these believers who are in persecution, who are facing the temptation of denying Christ Jesus every day of their life, and Paul brings in the great assurance and the joy that can be theirs, that one day in Christ they will be perfect. You see, salvation is wholly God's work, and we must believe that. Salvation is planned by God, and salvation is executed by God through His Holy Spirit in our lives. Because the Bible teaches that and we believe that, we must also believe that the completion of our salvation is also God's responsibility, and we can be as certain about the completion as we are certain about its inauguration. In fact, Paul is saying here in verse 6 that we can be as certain about the completion of our salvation as if it was already accomplished! Isn't that tremendous? Let me show you the word that Paul uses in this verse where he talks about God having begun a good work, it's also found in only one other place in the New Testament, in Galatians. If you turn to Galatians chapter 3 and verse 3, remember the Galatians were struggling with working for their salvation, even after God had saved them by grace, they were trying to keep their salvation by works. Paul says in verse 3 of chapter 3: 'Are ye so foolish? Having begun', and there is that word, 'having begun in the Spirit, are ye now made perfect by the flesh?'. The word literally, here and in Philippians, means 'inaugurated', 'to inaugurate'. He says to the Galatians: 'Are you so foolish? Having begun in the Spirit are you now going to be made perfect by the flesh?'. The tense 'to inaugurate', it's employed as a decisive tense, as a deliberate act. In other words, because God at some time in your history has deliberately and completely saved you, do you think that you're going to accomplish it and complete it and perfect it by your own efforts? No! The God who has begun that work, the God who has inaugurated that work, will bring your salvation to completion - and hallelujah, glory to God, one day will present every one of you dirty, filthy, rotten sinners before God perfect! I hope that thrills your heart - sometimes I wonder! I hope it does! You know, as Paul came before the Philippians his whole message was salvation, wasn't it? We see that specifically as he comes to the Philippian jailer in Acts chapter 16 - that's all he ever preached! We're seeing on Monday nights in 1 Corinthians that even when there was a dispute over baptism he said: 'I didn't come to baptise you, I came to preach the gospel'. What did he say to that Philippians jailer? 'Believe in the Lord Jesus Christ and thou shalt' - finished! - 'be saved'. Now I have no doubt in my mind when Paul came to that riverside to that lady, the seller of purple, Lydia, that he said to her too: 'Believe in the Lord Jesus Christ and thou shalt be saved'. We don't have a record of it, but I'm sure that Lydia had a date and a time for her conversion, and I'm sure that Paul gave her the gospel so that she could respond to it. But I want you to note that in Acts chapter 16 where her testimony is given to us, there's no mention of the gospel that was preached to her, it just tells us that the Lord opened her heart to give heed to what was said by Paul. Oh, of course she heard the gospel, and she had to act in faith in response to the gospel, but it's almost as if Lydia is an illustration to the people in Philippi: 'Look, don't you ever forget that this salvation was never begun by you! It was inaugurated by God, by His Holy Spirit in your heart, when He opened your heart. And if you're sure that God has opened your heart, you can be sure that God will perfect your heart!'. The God who has inaugurated that work, will bring your salvation to completion - and hallelujah, glory to God, one day will present every one of you dirty, filthy, rotten sinners before God perfect! I hope that thrills your heart - sometimes I wonder! I hope it does! This Lydia's story is the inner story of every conversion: God opening our heart. But what happens when you go through difficulties, when you go through temptations and trials, you get your focus back on yourself, isn't that right? You start to focus on your problems, on your imperfections, even if you don't see any in yourself - and this is usually why people do look to other people, because they don't see enough in themselves to occupy themselves, so they have to start sorting everybody else out - but they still see problems in other people and imperfections. We get taken up with these things, and what happens to us? We are dragged down, we're discouraged, we become dejected because of the lack of our perfection and progression in the life of faith - but if we could get hold of what Paul wants these believers to get hold of, the anticipation of our perfection in Christ that brings great joy to every believer that focuses upon it, it will send all the doubts to hell! It will foster triumphant joy, certainty, assurance, anticipation of perfection within our hearts! Now I know there's a lot of you people here today and you need to be set free to rejoice more abundantly in your great salvation - but you've got your focus off your Saviour! You've got your focus off the great salvation that He has begun in your life, and you've got your focus on your own failure, and that's why you've no joy! Isn't it wonderful to know today that what God has begun in your life, unless He's a liar, unless He's a cheat, unless He hasn't the power to do it or His word is worth nothing, He will perfect it? F.B. Meyer said: 'We go into the artist's studio and find there unfinished pictures covering large canvases and suggesting great designs, but they have been left unfinished. Either because the genius was not competent to complete the work or because paralysis laid the hand low in death, but as we go into God's great workshop we find nothing that bears the mark of haste, or insufficiency of power to finish, and we are sure that the work which His grace has begun, the arm of His strength will complete'. His arm is not short that it cannot save, His hand is not laid low in paralysis of death that He cannot perfect your salvation, and what a wonderful thing it is to know as the children of God today that those of us who are truly born of the Spirit of God from above, they will never be left an unfinished work! He leaves no unfinished symphonies, but the great assurance of the gospel is that what our God starts He finishes! Does that not bring you confidence? The confident assurance not only of God's initiative in our salvation, but if I can call it God's 'finitiative', that He's going to bring it all together - why? Because we look unto Jesus, not unto ourselves, unto Jesus the Author and Finisher of our faith, who for the joy that was set before Him endured the cross - do you think He would have endured the cross if He thought He couldn't finish the work there and then? Not only did He think He had finished it, He knew He had finished it because He said: 'Finished'. My time runs out on a regular basis, people will know that, and it's running out again - but it has to run out this morning, because if there's anybody here today: God help you if you're relying on yourself for salvation. God help you if you're relying on a church, or a creed, or your own morality, or your own prayers, or your own understanding of the word of God. And can I say this to you believers: God help you if God has begun a work in you by His Spirit, inaugurated it, but you're trying to carry it on by your own steam! He'll finish the work for you too, but like all the rest of us it will be in grace that He'll do it. Well, He inaugurated it, this verse says that He undertakes to complete it, to continue it, He will bring it to completion. The verb is in the intensive form, and it means a continuous sense, He's going to keep on doing this, keep on building you up on and on. It literally could be translated: 'He will evermore be putting the finishing touch to it'. Isn't that lovely? I love that children's chorus, I quoted it to somebody this week: 'He's still working on me, to make me what I ought to be' - I love this - 'It took Him just a week to make the moon and the stars, the sun and the earth, and Jupiter and Mars. How loving and patient He must be, for He's still working on me!'. He inaugurates it, He continues it, and what a blessing today for you child: the outcome is guaranteed - do you know why? Because God's working to a schedule, do you know that? He is working to the day of Christ Jesus, that's not the day when you're up to it, or the day when you get to the standard where He can say that you're perfect, or you've got such a foundation that I can build on your perfection and make you perfect, and finish off the job - no! He has already a day on His calendar marked when He's going to make you perfect! The day of Christ Jesus fixed in the Father's diary, and if I can say it: God is under contract by His own word to finish that work that He has begun in you. Everything and everyone will be ready in time for that day. There'll be no rush, there'll be no last-minute haste, there'll be no botching up of the job at the end, there will be nothing that God will stand back and say: 'Ach, that'll do for now, that'll do in the meantime' - no! Everything, all things in Christ will be perfect! William Hendrickson put it like this: 'God is not like men, men conduct experiments, but God carries out a plan. God never does anything by halfs'. Child of God going through difficulties and temptations and trials, feeling you're not good enough, weighed down by your own guilt and your own sin, listen to this verse: 'One day we shall be like Him, for we shall see Him as He is', because believers are predestined to become conformed to the image of God's Son - a time of perfection, a time of glorification that is in the diary of God. Let me finish, my time is gone, but let me finish with this story. An artist on one occasion conceived in his mind a great picture, a great work of art. He mustered up all the artistic ability and gift that he had within him into one full sweep of art, the best and his masterpiece within his life. He was working one day on his great canvas putting in dribs in greys and drabs of other colours to compose the background of that painting, when a friend entered unnoticed to him. The artist worked away with enthusiasm and with zeal, not aware that his friend was looking on. Finally, happening to turn round, he saw him and exclaimed: 'What do you think of this? I intend it to be my greatest work, the greatest work that I have ever done'. His friend burst into a laugh and exclaimed: 'Well, to be frank I don't think much of it. It seems to me only like a big great blob'. 'Ah', replied the artist, 'you cannot see what's going to be there, but I can'. People may look at you, you may look at yourself, and see a great blob of sinfulness - but God the great sculptor and artist looks down at your piece of granite hardness, and He sees within you a work of art, and His promise is this: one day He will bring it out perfectly. Being confident of this very thing, that he which hath begun a good work in you will perform it until the day of Jesus Christ. Let's bow our heads, maybe you're here today as a child of God and the old accuser has been doing his work, reminding you of sins that you've done in the past, sins that you're still falling into. Well, I don't want to make you comfortable in sin, and that was not Paul's intention - flee from that sin, put it away and repent of it, for that is primary proof that you're a child of God. But if you are truly His, what a joy, what a joy to anticipate: that one day, whether through hell or high water, He will make you perfect and complete in Christ. Will you lay hold upon that? Stop looking to yourself, fix your eyes on Jesus the Author and Finisher of your faith. Father, we thank Thee for the assurance of salvation in Christ. We thank Thee to know that we are eternally secure, that Christ has said unto us: 'I give unto My sheep eternal life, and they shall never perish'. Father, this is not a cushion for us to relax upon, a bed of ease and sinfulness to backslide in, but it is a pillow to lay our weary sin-sick heads. We sang already this morning: 'I heard the voice of Jesus say, 'Come unto Me and rest'', Father, may weary hearts, backslidden hearts, even unsaved hearts, hear the Lord Jesus say to them today: 'Come unto Me all ye that labour and are heavy laden, and I will give you rest'. Amen. 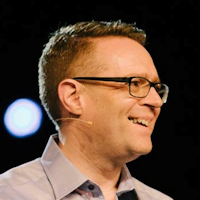 Don't miss Part 4 of 'Philippians': "A Pastor's Joy In His People Part 3"
This sermon was delivered at The Iron Hall Assembly in Belfast, Northern Ireland, by Pastor David Legge. It was transcribed from the third tape in his Philippians series, titled "A Pastor's Joy In His People Part 2" - Transcribed by Andrew Watkins, Preach The Word.